Cyrun's Casino Security Software is named Alliance Casino Enforcer®(ACE). ACE Casino Security Software is the easy, robust and secure solution for incident management, record keeping and threat assessment. ACE Casino Security Software helps Casinos improve security operations and guest relations. ACE Casino Security Software was designed by professionals with extensive background in law enforcement and is tailored to fit the unique and diverse security needs of a gaming enterprise, including casino guest protection, cash escorts, loss prevention, and tracking of banned persons. 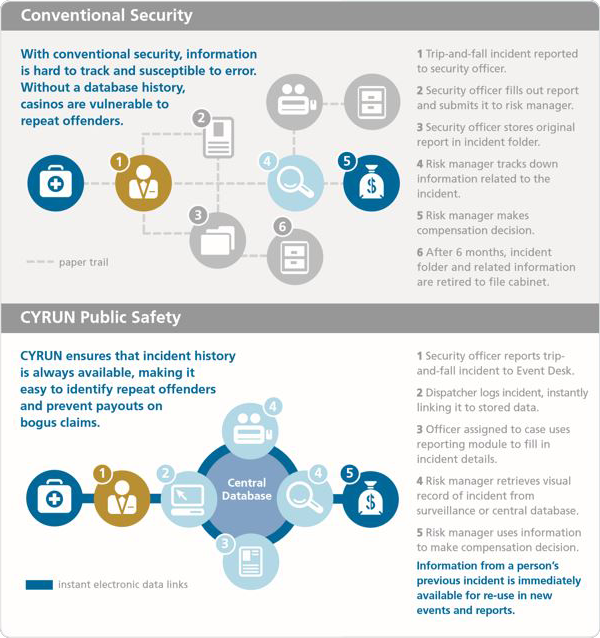 Based on Cyrun’s successful security management system used by Police, Fire and EMS Departments, ACE Casino Security Software takes the guesswork out of casino security, replacing the paper-driven model with a powerful data management system that starts paying immediate dividends. ACE Casino Security Software is a highly integrated system of software components that support the security functions of your casino while improving all facets of your operation. The “engine” that powers ACE Casino Security Software is a central data server where collected information is stored and made available to security personnel and managers. 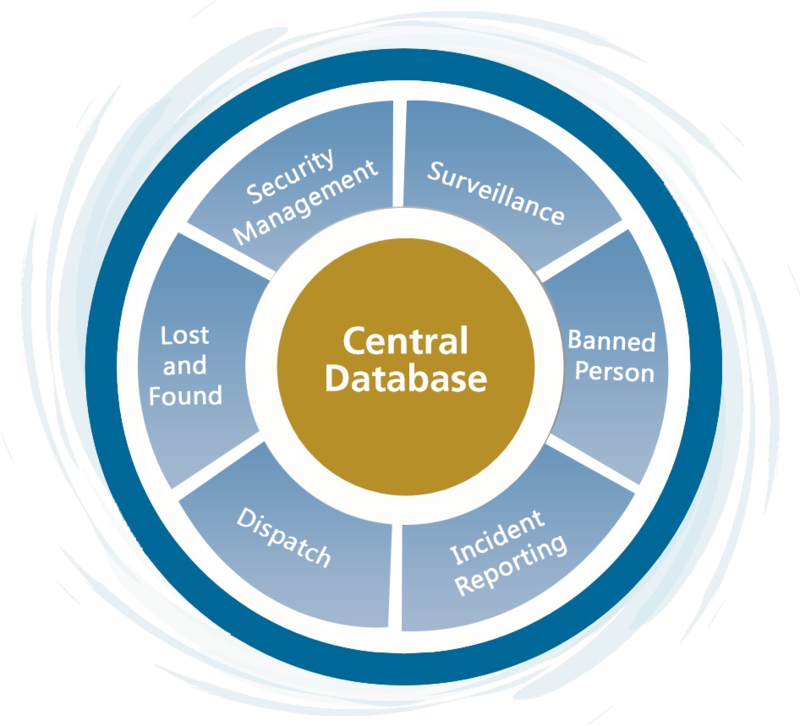 As data flows into the central database throughout your security organization.